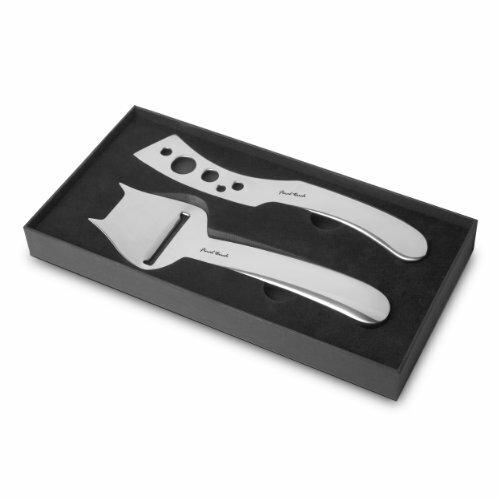 Final Touch Cheese Knife and Slicer Set. The cheese knife features holes in the blade preventing soft cheeses from sticking to the blade. The cheese slicer has been designed to slice cheese evenly. Handles are ergonomically designed and comfortable to hold. Made of 304 grade stainless steel. Includes deluxe storage case.